Tourism in Galicia offers endless possibilities for different types of tourists. Among other things, we carry by flag the beaches, the gastronomy, the historical patrimony and of course, our natural patrimony. For this reason, one of the best options to get to know in depth the intricacies of our land is to travel along some of the many routes that dot our geography. 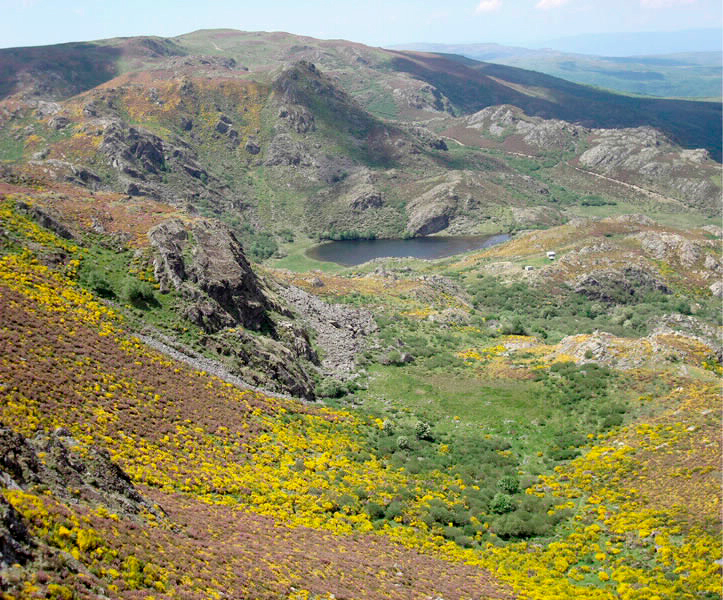 In the mountains of Pena Trevinca, in the easternmost part of the province of Ourense, it is possible to walk through an environment that seems practically unexplored by man. This protected area, with peaks that exceed 2,000 meters in altitude -Pena Trevinca (2,127m), Pena Negra (2,123m), Pena Survia (1,122m)-, offers one of the most beautiful winter prints with snow-covered mountains, high mountain rivers and natural lakes, some even of glacial origin. 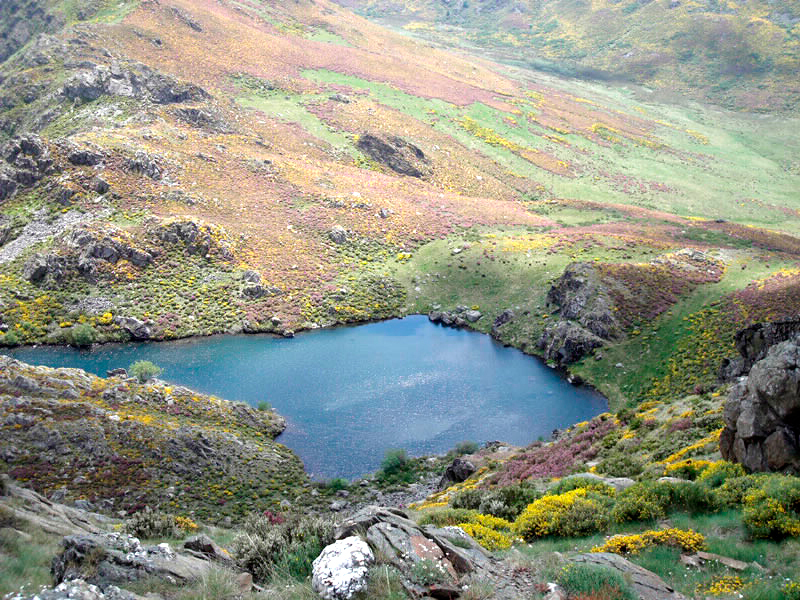 Although there are different paths in the area, if we choose the Ruta das Lagoas do Xares – starting in the village of A Ponte – we will enjoy the lagoons that are the protagonists of this territory declared Natura 2000 Network, Protected Natural Area and Place of Community Interest. The itinerary, about fourteen kilometres long and suitable for all audiences, runs through a landscape that attracts attention for the enormous richness of its fauna and flora. In the area, which is almost a place of pilgrimage for those looking for mushrooms, it is easy to find deer, wild boar, hares, rabbits and other species. However, the birds of prey that fly over the sky and especially the subsistence of a pair of golden eagles must be highlighted. 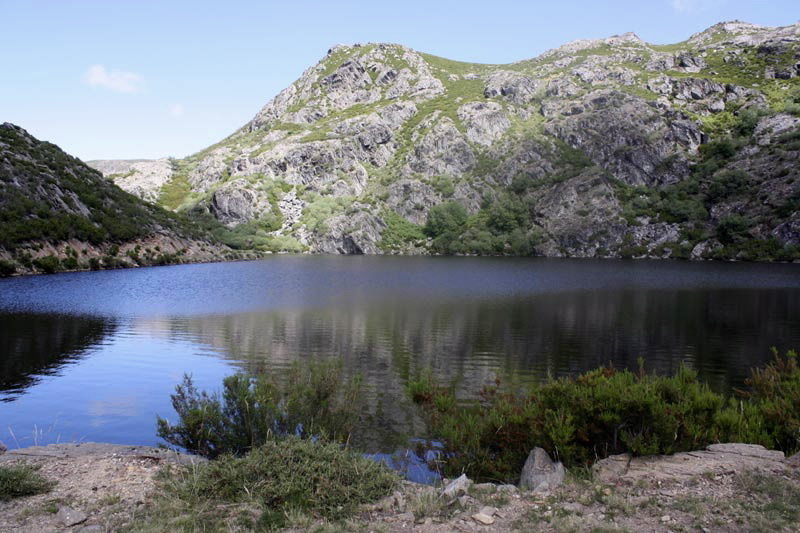 However, along the way we find natural wonders such as the lakes of Carrizais, A Laceira, Ocelo and A Serpe. The truth is that among so much beauty it would be difficult to choose which one seems more spectacular, because each one has something special. Ocelo’s, for example, was part of the setting of a Galician film directed by Ignacio Vilar, Pradolongo. While A Serpe, which is more than 1,967 meters above sea level, is enveloped in mysticism thanks to a legend. Legend has it that every night in San Juan you can see a young princess, who the rest of the year remains as a snake, on one of the rocks that surround the waters of the lake. The curse can only be undone if a young man decides to bravely face the challenge and spit in the mouth of the snake. Although some claim that a local boy tried, he finally didn’t have the courage to look at the animal so closely. Before starting, remember that most of the route passes through narrow paths with some uphill section, such as the one that takes us to O Fial, the highest point (1,841 m) of the route and the one that will allow us to catch our breath to continue. All you have to do is wear comfortable footwear and the right clothes to embark on an adventure in the middle of nature.